InterExchange wants to make sure that this summer is the best yet! Whether you’ve been hosting international counselors for years, or you’re brand new to the exchange program, InterExchange wants to make sure that this summer is the best yet! Here are some secrets to success for a memorable summer with your international counselors. Confusion and misunderstandings can be inevitable when it comes to hiring internationally. Between flights, visas, insurance, and transportation, there’s certainly a lot to think about! Although you don’t have control over the visa process, you do have control over how you communicate expectations about your camp. This starts with your initial interview before you’ve decided to hire them, right up until they depart for the USA. Giving participants personalized rather than generic information about your camp (i.e unique camp rituals, specific packing lists) is extremely helpful in alleviating pre-arrival jitters! The more you communicate with counselors before they leave the U.S, the more seamless the transition will be once they’ve arrived at camp! Read the Camp Director Handbook! 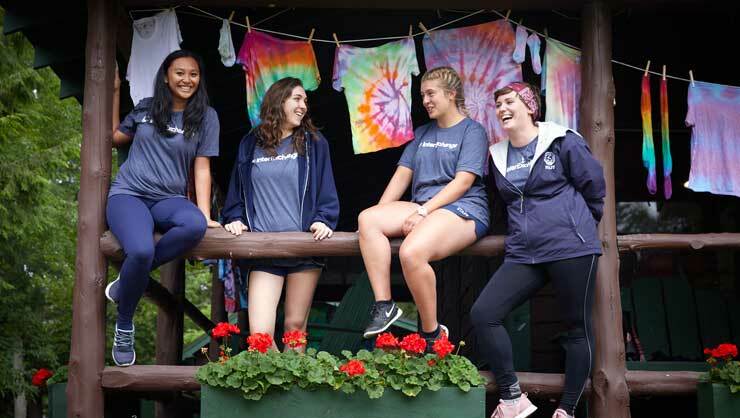 Familiarizing yourself with our Camp Director Handbook will be a great resource to answer all those pesky questions you’ll have about participating in our cultural exchange program. Unsure about what taxes are withheld? Want to understand insurance? Curious about how the stipend works? All of these topics and about a dozen more are explained in the handbook! Be sure to read up on other essential information available on our website. These may help you answer questions you get from participants! For many, the magic of summer camp is that it becomes a home away from home, for the staff as well as the campers. Because many exchange participants experience culture shock, international counselors can have a hard time adjusting to camp life. Providing counselors small courtesies can go a long way. This can be as little as greeting them at the airport, showing them around the nearest town, or simply engaging them in conversation about their culture. If you really want to go above and beyond, consider hosting an international day, or helping them plan a trip on their day off. With a little preparation, some good communication, and an open mind, you’ll be well on your way to having a successful summer with your international counselors! We look forward to hearing all of your stories!